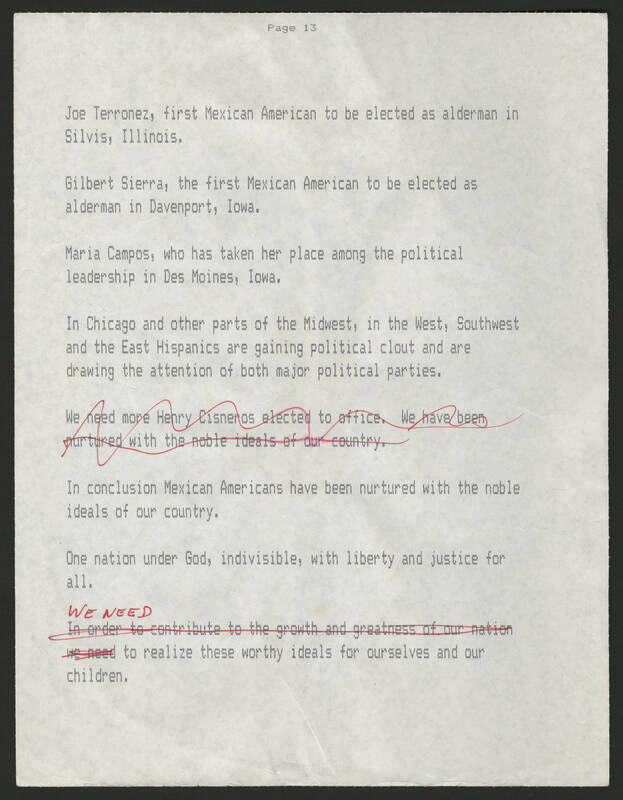 Page 13 Joe Terronez, first Mexican American to be elected as alderman in Silvis, Illinois. Gilbert Sierra, the first Mexican America to be elected as alderman in Davenport, Iowa Maria Campos. who has taken her place along the political leadership in Des Moines, Iowa. In Chicago and other parts of the Midwest; in the West, Southwest and the East Hispanics are gaining political clout and are drawing the attention of both major political parties. In conclusion Mexican Americans have been nurtured with the noble ideals of our country. One nation under God, indivisible, with liberty and justice for all. We need to realize these worthy ideals for ourselves and our children.